This simple shift could help you create the body of your dreams. *runs into room and attempts to catch breath* Moments ago, I made a purchase that I just had to share with all of you! Approximately five months from now, we would have endured yet another cold winter and will be getting ready for spring to roll around again. Around that same time, we'll move the bulky sweaters to the back of the closet and reaching for lighter wardrobe options. That's when we'll be confronted with our holiday food choices. Not to mention all the times we opted not to work out because of the frigid temps. At that point, we'll be filled with regret then we have to exert a ton of energy to getting back to our fighting weight. I'm starting to really realize that without systems, we can't predict outcomes. With that said, I'll be implementing a new system that will help me shed these pesky 5lbs while keeping my weight in check throughout the long winter. Back when I traveled consistently, I'd look ahead at my travel schedule and would be faced with a choice. Knowing that I'd be eating all of my meals out for the next several weeks, I'd have to plan meal options for breakfast, lunch, dinner, otherwise I'd come home back heavier than when I left. But, when I was thoughtful and purposeful in my eating, it was a completely different story. So, I've decided to bring the practice of purposeful eating at home. 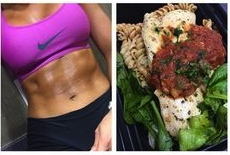 Basically, I'll be preparing amazingly healthy meals that feed my body, energy and fitness goals. That's why I invested in these meal planning containers. I can barely wait the two days until they arrive. I simply can not wait to fill 'em with vibrant multi-colored salads and protein. My favorite part of the container is the black color. It reminds me of that trendy salad place on the nice side of town that I visit whenever I'm in the mood for a $10.00 salad. No more $10.00 salads for me! Now I can enjoy gorgeous salads, any time of the day without having to plead for extra almonds. Not only will the will extra pounds melt away (especially from the mid-section), but I'll get to experience a boost of energy, improved digestion, and glowing skin. Not to mention how these nutrient rich foods will nourish our hair. Since we know that our hair grows slowest during fall and winter, eating a nutrient dense diet to feed our follicles is a no brainer. 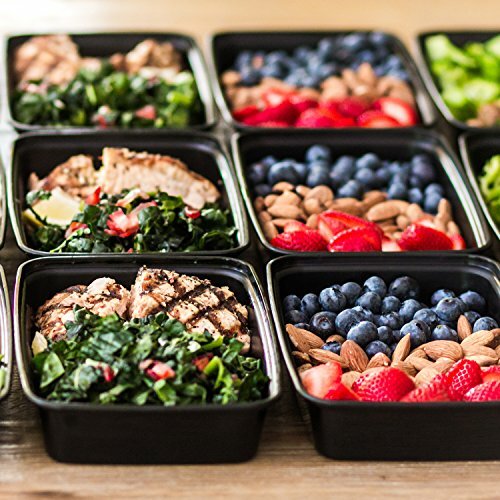 If any of you find yourself short on time, meal prep containers may be exactly what you need. Having healthy foods at your disposal at all times will free you of useless excuses. And fitting into your holiday dress will be a piece of cake a breeze. I've always wanted to get these! going to step up my game and order them.